Wow! It's hard to believe that it's been 50 years since we graduated! 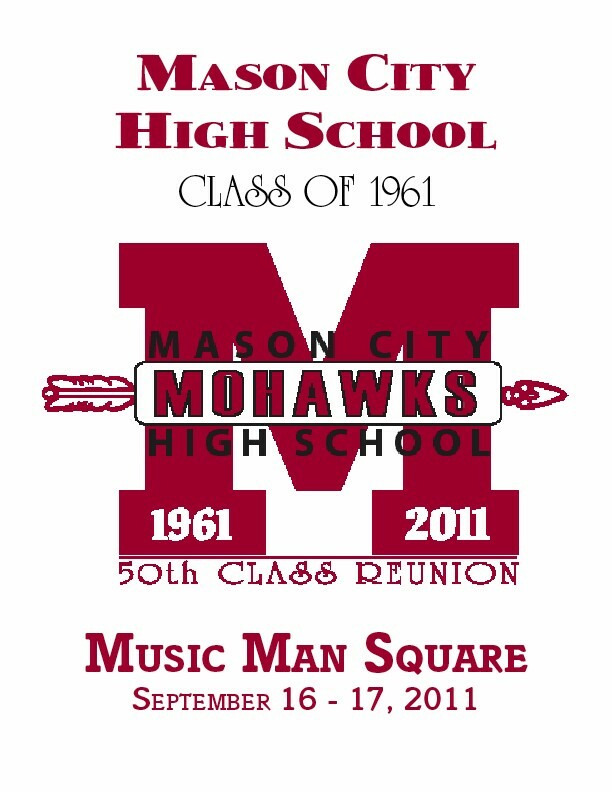 There were 128 classmates at our 50th reunion held at Music Man Square in Mason City. We came from 22 different states, stretching from Maine and Florida on the East Coast, to Oregon and California on the West Coast. The count included seven couples who are still married to their classmates – how encouraging. Most everyone who attended thought that this was the best reunion our class has held so far. If you missed the 50th, plans are underway to hold our 55th Reunion in 2016. We hope you can make it!